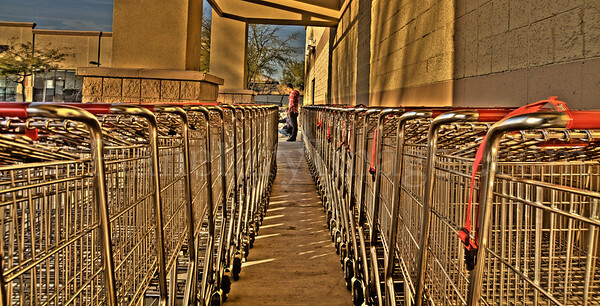 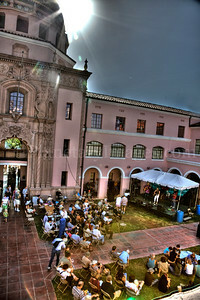 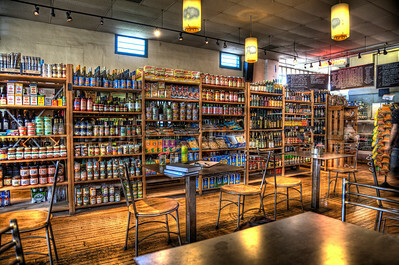 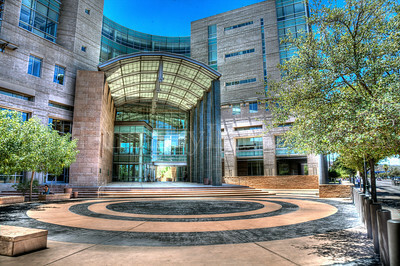 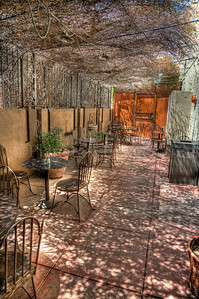 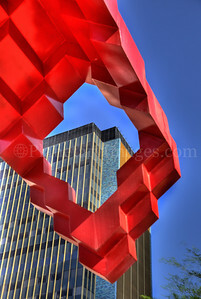 High Dynamic Range photography (HDR), the art of combining varying exposures of the same image to create a more dynamic range of luminescence, has become popular in this new century. 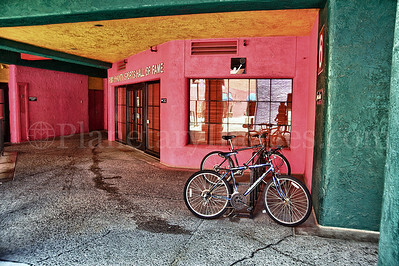 I strive to create worthy and even daring subjects – which includes incorporating the full blazing sun into some of my shots. 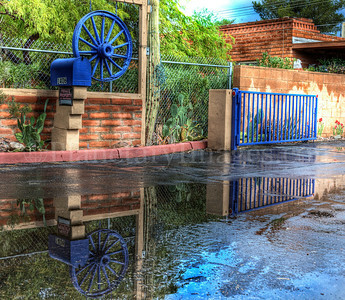 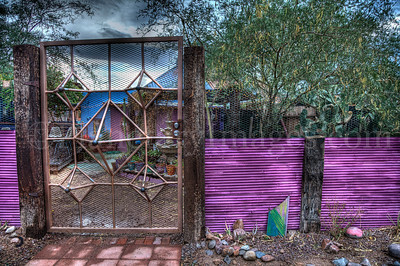 Colors can become more vivid in HDR, and there’s an overall painterly effect in many of these images. 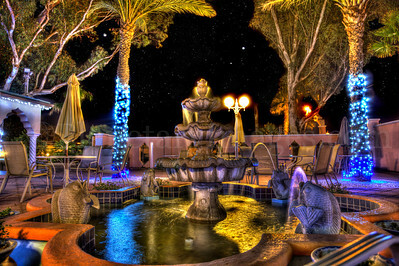 Sometimes a magical or enchanted one. 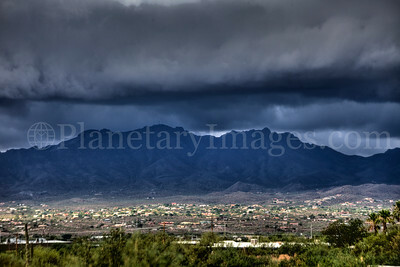 Ominous storm clouds over Tucson and Mountains. 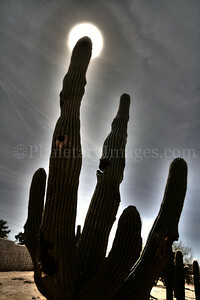 The full moon shines in the tip of a saguaro cactus arm in Southern Arizona. 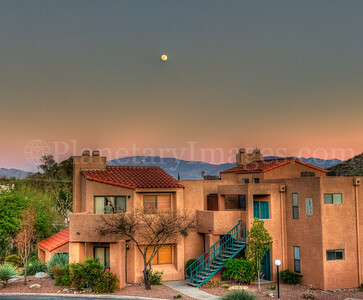 The moon rises over a Tucson apartment complex. 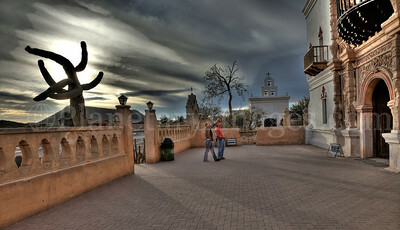 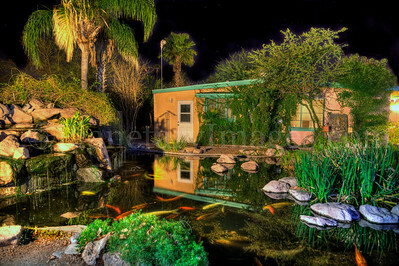 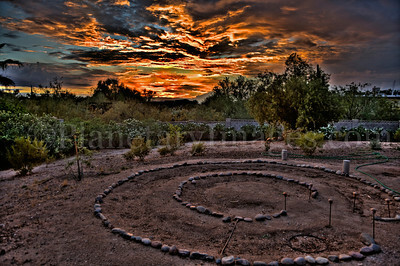 An amazing, dramatic, and colorful sunset above a back yard with a circle garden in Tucson, Arizona. 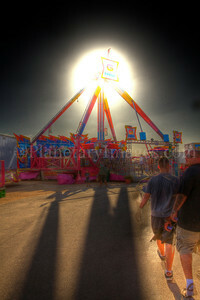 The sun appears to be an atomic explosion behind a Pima County Fair amusement ride. 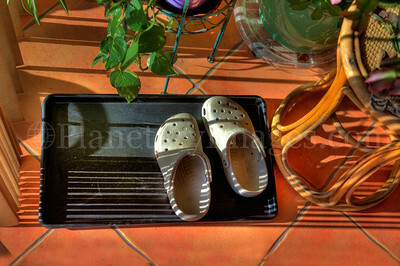 Clogs near my kitchen sliding door receive the late day sunlight and shadows. 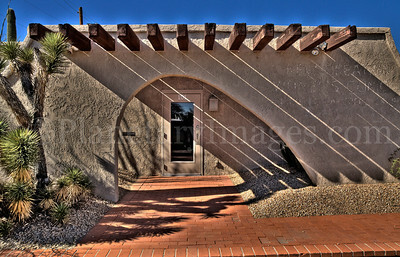 The late afternoon sun makes slanting shadows on this southwest building. 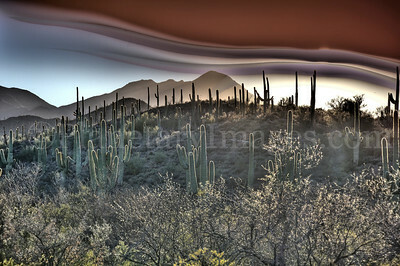 A hiking trail in Tucson Arizona with a strange spooky sky. 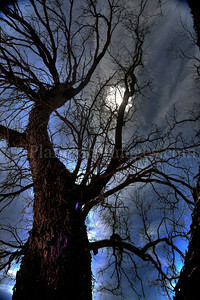 The full moon shines through a bare spooky tree in Southern Arizona. 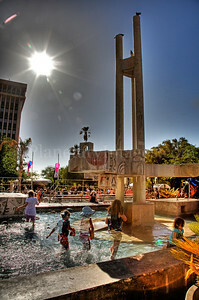 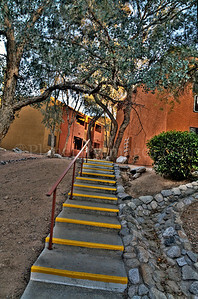 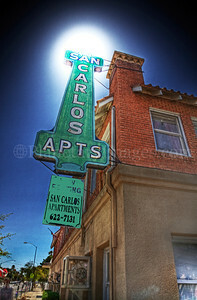 A mystical sun blazed above the San Carlos Apartments sign in Tucson, Arizona. 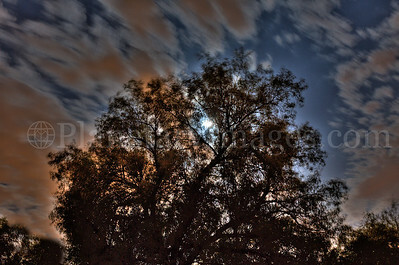 High dynamic range shot of the full moon shining through the branches of an African Sumac tree. 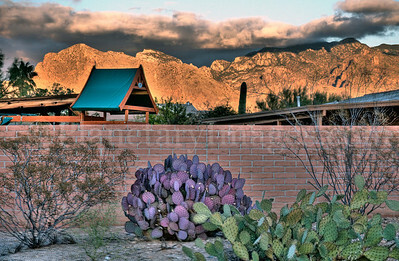 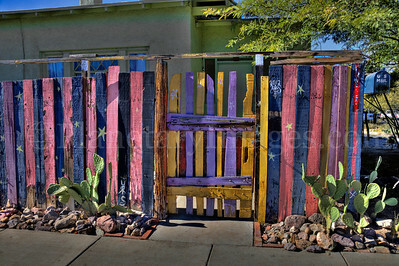 Glowing orange mountains with pink adobe brick wall and colorful prickley pear cactus in foreground in Tucson, Arizona.